It's no secret that Spain and fishing go together hand-in-hand. Spain is renowned across the globe for its wonderful seafood, and has a rich tradition of fishing dating back all throughout its history. This is certainly true in Andalucía, the southernmost region of Spain, where fishing is big commercial business, but also extremely popular for tourism, for hobby and for sport as well, and of course with the locals. All types of fishing are popular and commonplace in Andalucía. This includes saltwater fishing and deep sea fishing in both the Atlantic and the Mediterranean, along with fresh water fishing. In either case, you will need the appropriate licenses or permits to ensure you comply with local regulations. 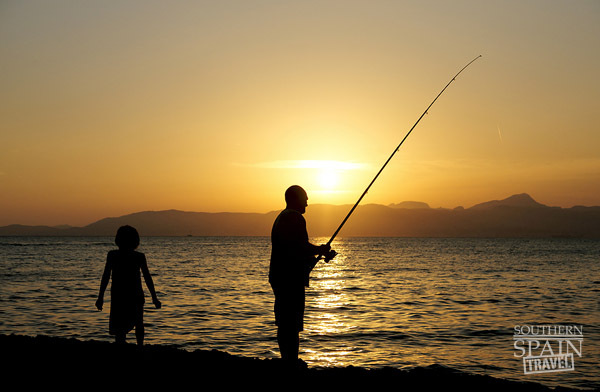 For saltwater fishing in Spain, you'll want to get a 1st or 3rd class maritime recreational fishing license, which will apply to either shore or boat fishing. These will be available from local offices available in major cities as well as tourist centers. For freshwater fishing in rivers, lakes and other locales, you'll want to obtain an angling license. In some instances, licenses from other European locales will be substantial enough, however, it's always best to check ahead of time. In Andalucía alone there are 64 freshwater fishing preserves. But when it comes to fresh water fishing, Andalucía also loves bragging about Rio Frio, and its fantastic trout. Trout fishing is in season all year long, and the tradition of fishing, catching and cooking trout in the local waters dates back hundreds of years. In addition to trout, black bass, pike, barbel and carp are also popular finds. The types of fish available and fishing trips you take will of course depend on where you're located. While Andalucía is but one region of Spain, it has a huge amount of coast, including along the Atlantic, and then in the narrow Gibraltar strait which connects to the Mediterranean, and then the great Mediterranean itself. All along the coast, you'll find fishing villages and communities, as well as fishing tourism, contests and so forth. For example, the World Coast Fishing Championships are held annually in Almeria. One of the most popular expeditions is to go deep sea fishing for large swordfish. This is most common between July and September, and particularly around the coasts of Granada and Malaga. In addition, mackerel, blue fish, sea bass and spotted bass are also popular. Not to mention the more than 150 types of shark which are in the region, including Makos and blue sharks. Around the coast of Manilva, bottom fishing is also popular, as you search for everything from eels to squid and grouper or snapper. Trolling is also very fun, particularly for blue fin tuna and mahi-mahi. The largest of the these catches will be available in the fall months of September and October. Another popular option for tourists is to rent a charter boat with local guides. They will take you to the choicest fishing spots. Plus, if you see success on the water, in many cases they or another individual will freshly prepare the food, basically straight from the fishing line to the grill or pan and to your plate. Nothing could be better or fresher than that, and in Spain, everything comes back to good food! There's basically an unending range of options and opportunities when it comes to fishing in Spain. There are hundreds of miles of coastline, and amazing fresh water locales as well, and each community or smaller area has its own traditions and pastimes. 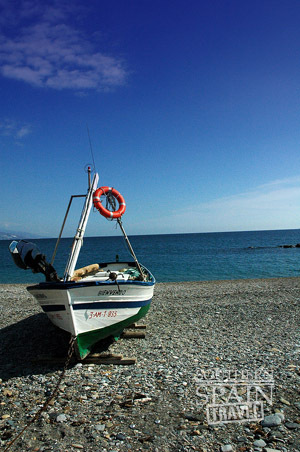 Any fisherman or angler will be endlessly amused with fishing in Spain along the beautiful Andalucían coastline. What else is there to do? Take a look at other attractions that might peak your interest while traveling.